Catalog Choice- a website to stop you receiving so much junk! 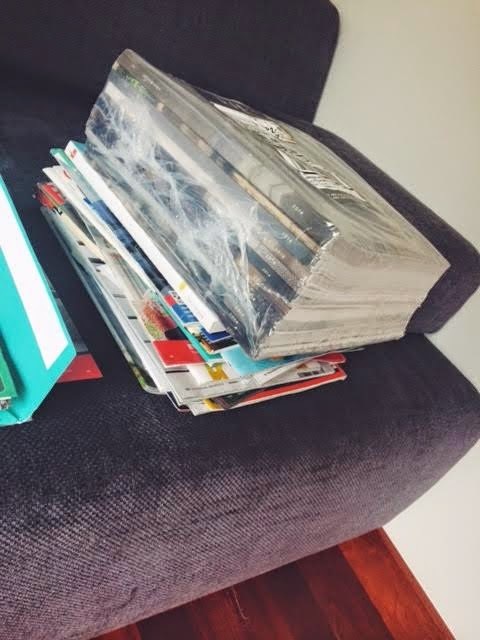 After returning home from traveling to find this mound of catalogs (that top stack is 17lb of catalogs from Restoration Hardware- SHAME ON YOU!!) i decided i needed to figure something out because its getting ridiculous. After a little investigation i joined CatalogChoice.org and started punching in the business names and submitting requests. I've already had about 5 companies respond to say i've been removed from their mailing list so i'm hoping we stop receiving so much junk, its such a waste! So far its been super easy to use and as long as the insane mail stops i'd say its totally worth the few minutes it takes to use, plus its free.